The British pound was mostly steady after the U.K. parliament voted to seek a delay in Britain’s exit from the European Union. Meanwhile, British lawmakers approved a motion, which set out the option to ask the European Union for a brief delay if parliament can agree on a Brexit deal by March 20, or if necessary, a longer delay if a deal cannot be agreed upon on time. This EU summit on March 22nd is likely to be the peak point of this chapter, as all 27 EU members must approve any extension. This puts the lawmakers in the position to decide whether to back a deal they feel may not necessarily offer a clean break from the European Union, or reject it and accept that Brexit could be watered down or even thwarted by a long delay. There are a few possible outcomes that can come out of this, whether the UK ends up leaving the European Union on March 29th without a withdrawal agreement, or if the departure date is delayed. If a deal between the UK and European Union comes through, there is a likelihood that the pound will increase. On the flip side, if there is no deal which leads to a hard Brexit, the value of the pound would most certainly drop. And the pound is likely to collapse due to uncertainties in response to a new referendum if the UK wants to leave the European Union. In the event that another round of political wrangling in Parliament derails the “improved” deal from being passed through, the optimism in the Pound that has recently made its rounds would be at risk of quickly unravelling. As such, it is expected that investors will be weary of another false dawn in the Pound, especially after having endured swings in the GBPUSD that have primarily swung between 1.25-1.33 over more than six months. However, with less than a week left before the UK is scheduled to exit the European Union, time is running out for the implementation of a binding Brexit deal. In terms of Forex, this ultimately means that Pound traders will meanwhile remain exposed to sharp swings in market volatility. This Brexit negotiation as a whole has already proven to be quote the drawn-out process, and experts believe that there are still bound to be more swings and roundabouts over the next few days. 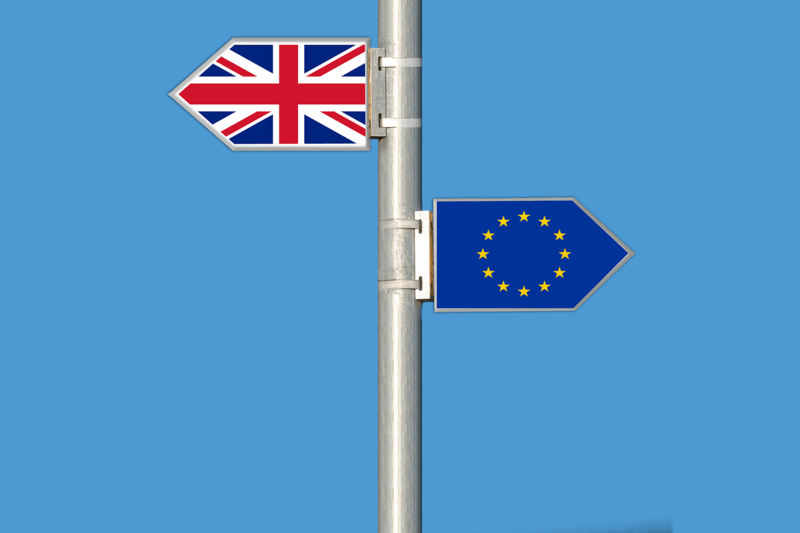 The turbulent nature of all talks and predictions surrounding Brexit and its potential impact on the Forex market taps into the biggest fears of investors: market volatility and the risks associated with it. Regardless of the outcome of Brexit, the unpredictable movement of exchange rates on the market will be worrisome, especially for novice forex brokers. One previous notable instance of extreme currency volatility occurred in January 2015 with the Swiss franc. That shock, which saw the Swiss National Bank abandon the peg that kept the franc locked to the euro at a fixed rate, sent currency markets across the world into a volatility spin. The euro dropped in value by over 30% against the franc. With consideration to the volatility that is to be expected, it is crucial for investors to choose a forex broker that has risk management features such as Deal Cancellation, as seen on compareforexbrokers.com.au. Deal Cancellation refers to the ability for forex traders to undo trades within an hour of placing an order. This means that if a trade is moving in the wrong direction leading to a loss (which is likely regardless of the Brexit outcome,) the trader can simply undo the trade while avoiding the loss. It is important to note though, that the feature can’t be subsequently enabled after a trade is made. The 60 minute countdown will only occur if the feature is selected when a buy or sell order (that is based on a non-confirmed price level) enters the market is triggered. That is the point in which the countdown clock will begin to tick. In many ways, forex brokers that offer risk management act as a safety net for investors. The Forex market is highly unpredictable, so traders who are willing to put in more than they can end up putting themselves in positions where they are very vulnerable to Forex risks. Professional forex traders are also professional in controlling their emotions in the midst of heated FX climates, such as Brexit. The way in which market sentiment can trap inexperienced traders serves as one of the most common FX trading risks, as it’s not well-suited for those who have a stubborn nature. Regardless of the outcome of EU summit on March 22nd and Brexit, it’s highly advised for FX traders to seek the services of a professional FX broker, to minimize any risks involved. Author: Justin GrossbardJustin is the co-founder of Compare Forex Brokers focusing on the currency vertical for the past 5 years. He also is the owner of a digital marketing firm with local and international clients.